Dan McShea (Ph.D. 1990, University of Chicago) arrived at Duke in 1996 with a primary appointment in Biology, and now holds a secondary appointment in Philosophy. From 1991-93 he joined the Michigan Society of Fellows as a postdoctoral fellow, and from 1994-95 held a postdoc at the Santa Fe Institute. His major papers are in the field of paleobiology, with a focus on large-scale trends in the history of life, especially documenting and investigating the causes of the (putative) trend in the complexity of organisms. A significant part of this work involves operationalizing certain concepts, such as complexity and hierarchy, as well as clarifying conceptual issues related to trends at larger scales. He publishes regularly in the journals, Evolution, Paleobiology, and Biology and Philosophy. 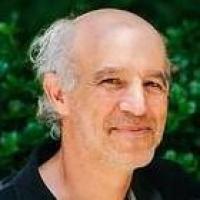 He serves on the editorial board of Biology and Philosophy and as a book-review co-editor for the journal Complexity . McShea is a member of Duke's Center for the Philosophy of Biology. D.W. McShea and Robert Brandon. Biology's First Law. University of Chicago Press, 2010. D.W. McShea and C. Anderson. "The remodularization of the organism." Modularity: Understanding the Development and Evolution of Natural Complex Systems (2005): 185-206. D.W. McShea and E.P. Venit. "What is a part?." The Character Concept in Evolutionary Biology (2001). D.W. McShea. "Feelings as the proximate cause of behavior." Where Psychology Meets Biology: Philosophical Essays (1999).